Did you know that tile roofs, if properly maintained can last as long as 100 years? That time frame is much longer that shingle roofs. Tile roofs offer great looking style and incredible durability and there are several benefits to tile versus shingle roofing. Contact us for more information. The long lifespan of tile reduces environmental waste and they are constructed from natural materials like clay or ceramic. A tile roof will reflect the hot Texas heat better than shingles which can help save on your energy bills. We offer a wide range of lightweight and standard weight roofing tiles and we have many styles and colors to meet your needs. 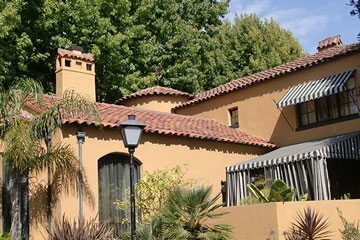 Although tile roofs have long lifespans, there are certain circumstances in which they may need to be repaired. If you notice a leak in your roof, it probably is coming from the asphalt based material underneath the tiles or the tile itself may be broken or displaced. Do not go onto the roof yourself. Call a professional like Maximum Construction to discuss tile repair options. Contact Us at (469) 595-6059 to inquire about how we can improve your existing home with our quality tile products and or tile repair services.